How to Obtain a Permanent Residence Visa in Japan? 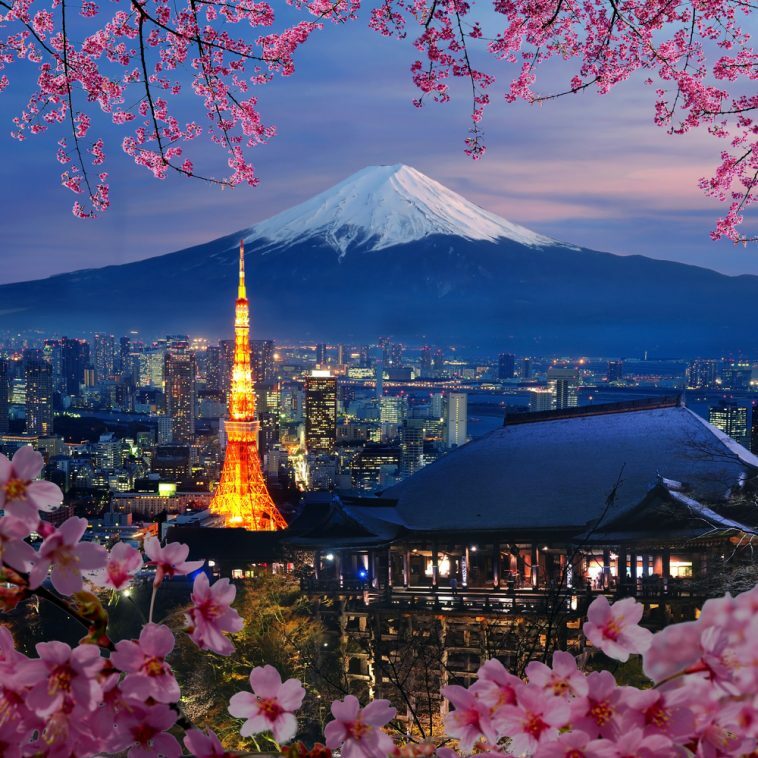 If you have already spent some time in Japan and you have decided that this is the place you want to stay for a longer while, you probably will face a lot of hassle renewing your residency status almost every year. In this case, you may consider getting a permanent residence visa that will grant you almost the same rights and possibilities as those of the Japanese national. For example, you will have no limitations for the activities you want to perform as well as the unlimited time of residency. However, applications for a permanent residence visa are being checked very closely and to the tiniest detail. Thus, it will take a lot of time, paperwork, and an excellent record of conduct in Japan from you. While there are strict rules for eligibility and lengthy waiting times, getting a permanent residency visa has several obvious benefits. How long does it take to obtain a permanent residence visa? How much does an application for a permanent residency cost? Freedom of activities. Once you have your permanent residence visa at hands, you are free to undertake any activities in Japan within the legal scope without informing an immigration office about it. That is particularly handy if you change your working place. If your stay in Japan depends on another person, you may lose your residential status and permission to reside in Japan once those relationships fall apart. That may include a divorce, a death of a spouse or a sponsor. If you are eligible to obtain a permanent residence status, it is advisable to get it as soon as you can. Getting home loans. Having a permanent residence visa makes it easier to obtain financing from Japanese banks. It is a good idea to apply as soon as you are eligible (see the following section for more details). Secure your future opportunities of living in Japan in a fastest possible manner, because life circumstances change all the time. Your employment and/or relationship with the sponsor may change, you can come across health issues, your reputation may be compromised and so on. Moreover, the application and eligibility rules are also subject to revisions. It is possible that quite soon new rules on language proficiency might be introduced as the new requirement. Take note that the processing time for a permanent residence application is long and may take anywhere between 6 and 12 months. It is recommended to apply at least one year before the expiration of your current residence permit and while having the longest permissible stay under your current visa type. Make sure that your current visa will allow you to stay in Japan until the decision on your application is made. Of course, there is an option to apply for an extension of your current visa while waiting on a decision about the permanent residence. However, if your extended or renewed visa is granted for a shorter period of time then the maximum possible period of stay, your permanent residence application may be rejected at once. You can apply at your regional immigration office. There are different application times and terms for different groups. Your eligibility for the application depends on your previous and current residential statuses and an overall history of living in Japan. Below are some common options for permanent residence eligibility. For highly skilled professionals it is possible to apply after 3 years of living under this status if your point score is over 70, and after 1 year if it is over 80. A holder of a Long Term Resident visa can apply after 5 consecutive years of living in Japan. Spouses of Japanese nationals can apply after 3 years of being married to a Japanese national and living under this status in Japan for at least 1 year. Children of the Japanese nationals, special permanent residents, and permanent residents can apply after 1 year of living in Japan. Applicants who are recognized as refugees and have been living in Japan over 5 consecutive years after being granted a refugee status. An applicant has been living in Japan for over 5 years and has made a recognized contribution to Japan at the highest level in one of the following fields: diplomacy, economy, culture, social, etc. Applying for a permanent residence is a big step and the immigration office will take into consideration not only your current application and visa status, but also will evaluate your overall history of residing in Japan and your suitability for becoming a permanent part of Japanese society. Your reputation and the history of your conduct should be as clear as possible, preferably perfect. It means that neither you nor even people you know or communicate with should be involved in any kind of crimes or misconducts. Such things as being a part of a traffic accident or being acquainted with someone who has been caught in a bar fight compromise your records of conduct and make it much more difficult to obtain a permanent residence since you might be seen as an untrustworthy person. Every little thing matters and will be closely examined. All of your activities in Japan should always be within the scope of activities permitted for your residential status. For example, you should report every change in your employment history. If you want to get a second job or alter your employment type in any other way, you should receive an official “Permission to Engage in Activities Other than Permitted by the Status of Residence Previously Granted”. If you are not sure what changes in your circumstances you should report and how to report them, you can always consult a specialist from an immigration office. Keep your taxes in order. An applicant will have to show their certified tax records from both the national and the local tax office. If you have any debts or penalties, all of those will be reflected in your records. If your workplace withholds your monthly taxes automatically, it is relatively easy to fulfill all the tax requirements. However, if you are filing your own tax returns, pay them in a full and timely manner. There is no possibility to extend payment periods for personal taxes in Japan. Once overdue or unpaid, it will stay in your records forever. Your financial status should be implacable. It should be clear from your application that you are capable of providing for yourself and your family without relying on social services and support systems. The estimated minimum requirement per year would be 3,3 million yen per person, 4 million for a couple, and about 4,5 million yen for families with a child. Gather all the necessary documents (see below). A relative of the applicant, a person living together with an applicant (or someone of the same status) if an applicant is under 16 years of age and suffers from an illness or has other alike circumstances. Wait for a reply. You will be contacted once the decision has been made. If you have been granted a permanent residence, update your status of residence. The set of the documents may vary. Thus, it is always a good idea to consult your regional immigration office and get the latest detailed requirements for your application. Remember that the documents you submit most probably will not be returned to you afterward. Ask the immigration office which of the documents that you will submit can or cannot be returned and what kind of certifications on the copies of your original documents immigration office would deem appropriate. Clarification of reasons for applying for a permanent residence: work, family, etc. Personal identification information: a passport, extract from a family register, a birth certificate, etc. Clarifications of financial situation: certificate of one’s bank account, the original bank book and its copy, a copy of a real estate register if you own one, etc. Tax returns: a certified tax records from the national and the local tax register, payments of national pension and national health insurance, etc. Relationship status: extracts from a family register, marriage certificate, etc. Employment status: employment certificate, a certified copy of a corporate register for executives, etc. Received honors for contribution to Japan: a decoration for bravery or distinguished services, certificate of commendation from a local government or the national government of Japan, etc. Guarantor’s occupation certificate, income certificate, and Certificate of Residence. The processing time usually takes somewhere between 6 months and 1 year. Most probably it will take a year. Thus, make sure you submit your papers well in advance. Also, check that your current visa will not expire prior to obtaining your permanent residency. The application fee is 8 000 yen. It needs to be paid with the revenue stamps. Permanent residence visa the next step for people who have lived in Japan for some time and have decided to stay for a longer period. Getting a permanent residence visa grants a lot of benefits to its holder among which, for instance, is the possibility to freely change your jobs without renewing your visa every time your occupation changes. Since you will be granted a wider pool of right, applications for this visa type are being examined to the smallest details. In order to avoid problems with your application, it is recommended that you maintain a good reputation during your whole stay in Japan. That includes a good moral conduct at all times, stable financial status and no problems with your taxes. No, you cannot. Once a decision has been made, it is a final one. Do I need to do anything else after I received my permanent residence visa? If you are planning to travel in and out of Japan, you will have to obtain a re-entry visa. Also, you need to renew your residency card that shows your permanent residence status every 7 years. Can I travel outside Japan with the permanent residence visa? You need to have a re-entry permit to be able to travel in and out of Japan. Also, your residency is measured in periods of 7 years. If you spend more than 6 years outside of Japan during this period, your visa status may be revoked. Permanent residency visa is meant for continuous stay in Japan. Thus, it is advisable to spend at least 6 years in Japan out of 7 during the renewal period of your residency card. Application process seems to be difficult. Can someone help me with it? You can always ask for an assistance of a certified immigration specialist. It is not a requirement to use one, but they can help you with a lot of such practicalities as handling your paperwork and visiting various tax offices. Can I bring my parents to Japan? It can be possible if you owe a highly skilled professional (ii) visa. What happens if I am no longer in a relationship with my spouse or sponsor or the person I am dependent on passes away? Your residential status will not change. This is one of the greatest benefits of obtaining a permanent residence visa. Do I need to be proficient in Japanese? There is no such requirement yet. However, it is possible that it will be introduced in the future. Moreover, your application should be filled in Japanese while such documents as extracts from family registers or tax records are provided exclusively in Japanese. Thus, having some proficiency in the Japanese language will greatly benefit you.